Mmmm… guacamole. It’s made almost entirely from our favorite food, and we wouldn’t have it any other way. Avocados are delicious, versatile, and best of all healthy! They are full of plenty of good fats, as well as 20 vitamins and minerals like fiber, vitamin E, vitamin B6, potassium and folic acid in every serving. And, an avocado actually has more potassium than a banana! So, you can feel good about eating all of the guacamole you can get your hands on. Here are some secrets to a great guacamole. Tex-Mex is a Texas version of Mexican food characterized by a blend of Mexican and Southern American features. Tex Mex took off as more people settled in Texas, and the popularity of Mexican food became popular due to its proximity. Soon, Mexican restaurant owners in Texas started incorporating more elements into their dishes. The result was an entirely new style of cuisine. The significant difference between Mexican and Tex-Mex food is the use of a few key ingredients found in the US. Most of which are not commonly used in Mexico. Those include beef, cheddar cheese, wheat flour, black beans, canned vegetables, chili powder, and cumin. On the other hand, Chevys is famous for ‘Fresh Mex’. Learn all about our food and how we put Fresh Mex on the map. While Chevys Fresh Mex is a national brand, our locations, Annapolis, Arundel Mills, and Brandywine, are owned and operated by a local family. It’s no surprise that the locations and surrounding communities are very important to us. That is why we also feel the need to give back to the local communities that we hold dear. One of the charities we support is Samaritan House. 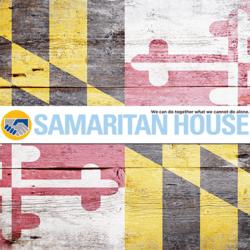 For 46 years, Samaritan House has been helping many individuals find a life free of addiction. Since 1986, they have been certified by the Maryland Department of Health and Mental Hygiene. There are many things we love in Annapolis, Maryland, and Navy Football Tailgating is high on that list. There is just something to be said about rooting for the home team. Whether it be at the Navy-Marine Corps Memorial Stadium or watching at your favorite local place to hang, like Chevys, here are some things you should know about the tradition of tailgating. It might come as a surprise, but the USNA’s football program is one of the oldest ones in the USA. That’s right. It dates back to 1879 when two first-classmen helped shape the beginning of the football team.